As far back as I can remember, I have always been a huge geek. While maybe not Grand Emperor of the Geeks, I have definitely been in the upper echelons – maybe some sort of duke or possibly even an earl. I was in the marching band, pep band and just good ol’ regular band. I founded a book club, ran the student store, was a mathlete, and eagerly joined the pit orchestra for every school musical that I could. And then there were the video games. When I wasn’t practicing, marching, studying, or being a kid/teenager, I was nearly obsessed with playing games. I must admit that I played rather mainstream games for the first eighteen years of my life – with the sole exceptions being Earthbound and Snowboard Kids 2. I had very limited internet access, and getting to any kind of game store was always a day-long task, so I had to get my information from my friends. Don’t get me wrong – they led me to games that I still hold dear to this day. 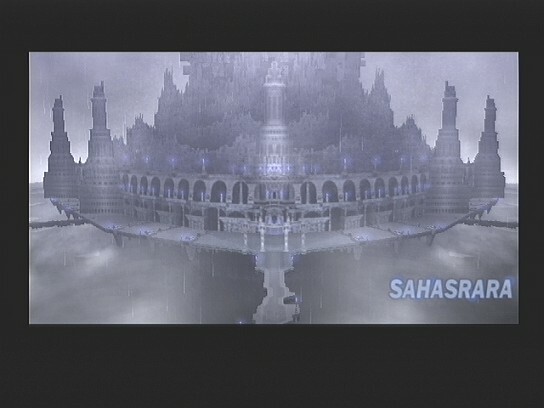 Without them, I never would have played Star Ocean: Till the End of Time, or Final Fantasy IX and X. They even made me fall in love with the Kingdom Hearts and Tales of series. While I cannot possibly remember the exact moment that I fell in love with video gaming, I can, beyond a shadow of a doubt, tell you the moment I became the gamer that I am today. 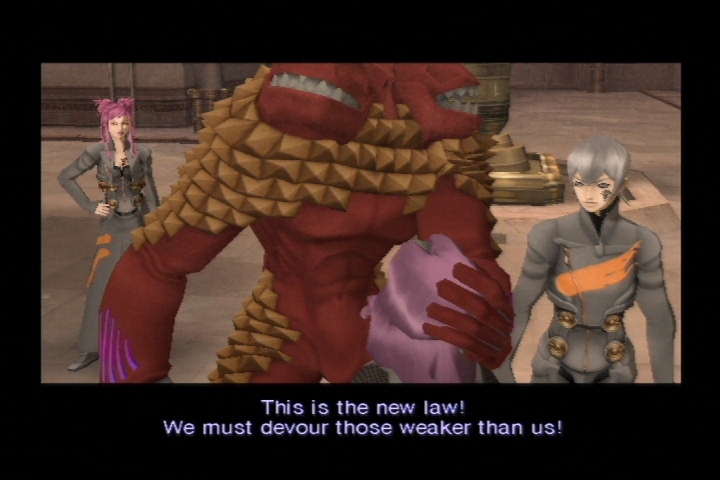 There is a very, very good chance that I would never have given a Shin Megami Tensei title more than a passing glance if it wasn’t very one very wise, very awesome friend. This fateful day began as simply as any other – fresh out of high school, hanging out with a friend, and a pocket full of my first paycheck. Out of games to play, we decided to stop in at the GameStop to see if there was anything worth picking up. After only a few moments of browsing, my friend practically squealed with delight and snagged a game off the shelf and held it as if it was made of pure gold. An immaculate copy of Shin Megami Tensei: Digital Devil Saga I was clutched in her hand, but the $50 price tag attached to it nearly reduced her to tears. She informed me that she had been aching to get another copy, and had never been able to find it, but was unfortunately unable to shell out that much cash for a used copy of a game. I will admit that I wasn’t terribly intrigued – after glancing over the cover art and skimming through the manual, I really wasn’t able to understand why she was so infatuated with the game. Sure, it looked interesting enough, but what game is that good? I’m still not sure exactly what caused me to slap down a full quarter of my paycheck for that game, but I have never once regretted it since. I wish I could say that I went home, and instantly popped the game in, and did not move for the next five days. The real story is that it went home with me, and lay sad, forgotten, and neglected on my bookshelf for nearly two weeks before I finally had the chance to play it. Shameful, I know, and had I known then what I know now, such a travesty would never have occurred. With a three day weekend ahead of me, I settled into my big comfy armchair, loaded the disk, and finally got my first taste of an Atlus game. “Rend… slaughter… devour your enemies. There is no other way to survive. You cannot escape your hunger, warriors of Purgatory…” These words, spoken by a baleful purple eye resting in a circlet of nails, would forever change the way I viewed and played video games. Shivers ran down my spine, and I found myself leaning forward in my chair as the strangest opening of any game I had ever played unfolded before my eyes. It was unlike anything I had ever seen before. I actually replayed the opening a couple more times, and by the end of my weekend, the opening theme song would be burned into my brain and playing on an endless loop in my head for the next several weeks. After the initial shock and awe wore off, I couldn’t start the game fast enough. And, once started, couldn’t seem to play it enough. For those of you who have not previously played the Digital Devil Saga games (and really, if you haven’t, I can’t urge you to do so strongly enough), the story opens up in a world known as the Junkyard, a dreary, dark, gray place constantly shrouded in rain (much like my beautiful city of Portland, Oregon), in which several tribes vie for dominance. Only once one tribe has managed to defeat all the others will they be allowed entrance to Nirvana. This is the way of the Junkyard, and the way it has always been for those who inhabit it. One day, a mysterious, egg-like object appears in the Junkyard, which attracts the attention of all the tribes. Unsure if it is a weapon of another tribe, all of them approach it with extreme caution – and when it opens, all hell breaks loose. Quite literally, in fact. Every living person within the Junkyard is caught by a strange beam of energy, that unleashes their inner demon. Everybody is transformed into a hideous, violent, and blood-thirsty demon, and carnage rains down over the dreary landscape. Once they manage to regain some control of their humanity, the story’s main characters, the Embryon tribe (composed of Serph, Argilla, Heat, Gale, and Cielo, mainly), find an angelic, sweet girl unconscious inside the opened egg. The girl, Sera, is the key to getting into Nirvana. Only the tribe that can defeat (and devour) the leader of all the other tribes of the Junkyard will be allowed to ascend the immense Karma Temple (which rules over the entire Junkyard), where their accumulated karma combined with Sera’s presence will be allowed entrance to the paradise of Nirvana. It was a concept that I had never encountered before in any game that I had played – I had always been won over by the age-old formula of a world on the brink of destruction, where a hero emerges to defeat the big baddie, save the world, and restore piece. Here, though, was almost the opposite – there was no world to save. In fact, instead of saving this world, everybody inside of it was actively trying to escape it. Faced with this intriguing storyline, I was only pulled in even deeper as the character’s behaviors, emotions, and memories were slowly revealed. Strangely, nobody seems to have any memory of being born, or of their lives prior to the events that the game opened with. There are no children in the Junkyard, no animals, no sunshine, and, in the beginning, there is almost no emotion. As though they are all newborns, Serph and his tribe gradually awaken to emotions, to ideas of having comrades, of friendship and love. Again, this was like nothing that I had ever experienced before – sure, I’d played games where characters had amnesia, or didn’t seem to have any personality whatsoever. But for me, this was on a whole new level. These people were fighting for their lives, all while trying to learn just what it was to be alive. I couldn’t help but feel for them every step of their journey through the Junkyard. I watched as Heat battled against his fiery temper, and as cold, calculating, logical Gale begin to see honor, dignity, and friendship in comrades and enemies alike. I watched as Argilla fought her inner demons, her hunger, and developed the ability to feel sadness, compassion, and happiness. It was like watching children grow right before your eyes, and I had never felt so close, so interested, and so deeply invested in character development before. I felt as though I was sharing in their triumphs, as well as their despair. No game had ever managed to have me so thoroughly enthralled, so desperate to help them succeed in reaching their goals. No part of the game felt like a chore. Even climbing the seemingly never ending Karma Temple and solving its myriad puzzles and challenges wasn’t remotely tiresome. And when I finally reached the end of the game, I had even more questions, even more mysteries. I watched the ending credits roll with something almost like sadness – I had beaten the game in only three days, and I didn’t want it to be over. I wanted more. I was addicted, and I could already almost feel the withdrawals setting in. I needed the second game, and I needed it immediately. Unfortunately for me, I wasn’t able to use the fancy interwebs to order a copy off of Amazon or eBay, and so I confined to searching through my local game stores for a physical copy. The second game never materialized, and to this day, I have never seen a physical copy in any store that I have ever been in. Although denied the second half of what I had determined was the single greatest game I had ever played in my life at the time (with, perhaps, the exception of Earthbound, but really, that’s like comparing apples and station wagons), the experience sparked my interest in the offbeat games. I didn’t just stray off the beaten, mainstream path, I plunged headfirst through the thicket and brambles and started blundering through unknown territory with nothing but the name of Atlus to guide me. I began amassing my collection, managing to find copies of Shin Megami Tensei: Nocturne, Shin Megami Tensei: Devil Summoner, Jewel Summoners, and, most importantly to me, Persona 3. Unfortunately, disaster would strike when I lost my job, and, in order to pay rent, had to sell all of my prized, beloved collection in order to pay my bills and survive. I’m ashamed to admit that after that, I lost a lot of interest in gaming for a few years. Perhaps it was depression over losing the games that I had painstakingly searched for, collected, cared for, and loved. Whatever the reason, I did not pick up another video game for nearly 3 years, when I met somebody who not only breathed life and energy back into my daily existence, but refueled and encouraged my love of video games. Somehow, out of all the people that I could have met, I had the unbelievable luck of meeting an avid fan of niche video games, a fact we discovered after gushing over our mutual love of P3. 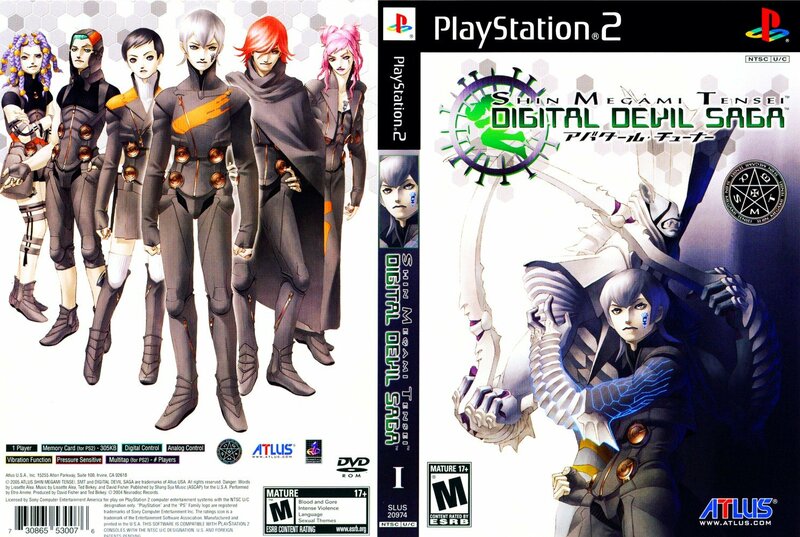 Just as before, my insatiable need (some may call it obsessive, compulsive, or downright crazy) for Atlus games was rekindled by a Digital Devil Saga game, though this time, thanks to his sweet, amazing gesture, I finally had my hands on a copy of the second game in the series. He also opened my eyes to all the other developers and publishers that I had been so blind to. Not only did he make me fall in love with him, but he made me fall in love with NISA, Aksys, and XSEED. Our collection these days has grown from being formidable, to being borderline obscene, and I couldn’t love it more. As ridiculously silly as it may sound, Atlus pushed my gaming in a direction it most certainly would have never gone on its own, and gave me the icebreaker that my painfully awkward self so desperately needed. 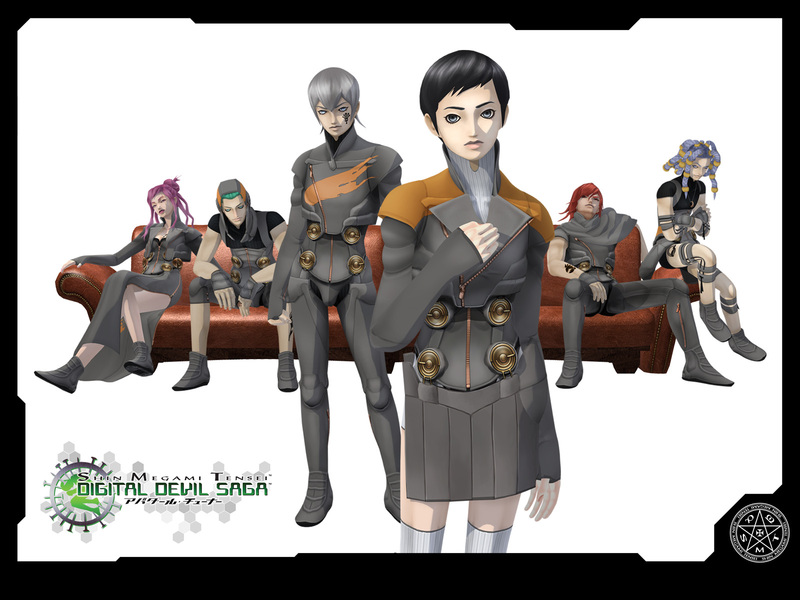 While the Digital Devil Saga games are not at the absolute top of my list of favorite games (don’t get me wrong, they are still quite high on that list), they will forever hold an irreplaceable and special place in my heart, and they will never be forgotten.